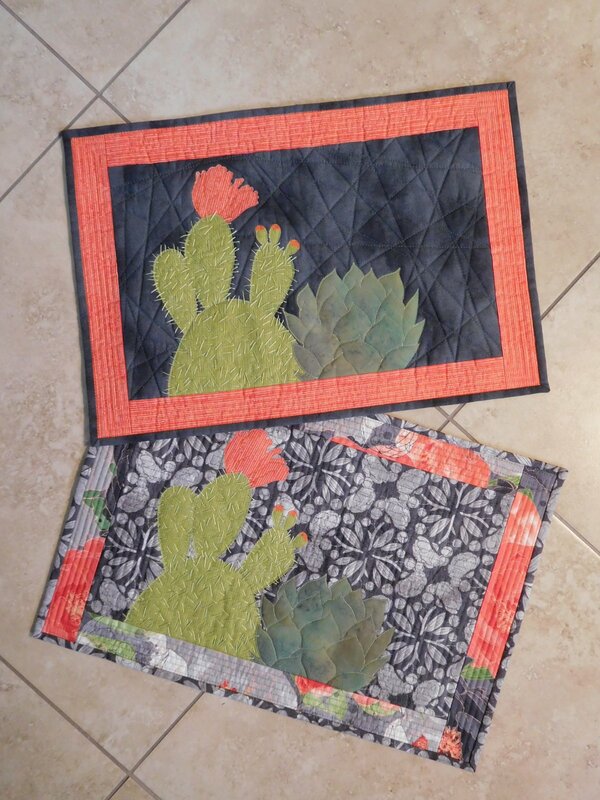 You will be making one place mat in your choice of fabrics - wild and crazy or more subdued. The technique is raw edge, fused and stitched. Applique with a bit of thread painting and hand stitching with Perle Cotton or embroidery thread.